Locating crucial energy resources involves examining phenomena under, on, and above Earth’s surface. Some of these phenomena change frequently, such as winds. Others, such as oil and coal deposits, are products of long series of geologic processes. Yet all are geographic in nature — they occur in specific places for specific reasons. To determine the best regions to explore for new natural gas deposits, to determine the ideal places for wind farms, or to locate the best rooftops for solar panels in a city, Geographic Information System (GIS) technology and methods are vital. Geoscientists, energy researchers, and others in numerous careers and disciplines use GIS and its integrative nature to tackle these issues. You can, too. Go to http://edcommunity.esri.com/esw for a series of lessons, including those depicted by these maps. The site also includes pathways to free GIS software, online mapping sites, and other resources. Help your students discover how Earth science and GIS “energize” life on Earth. The sun shines everywhere, but are all places equal in potential for use as solar energy farms? 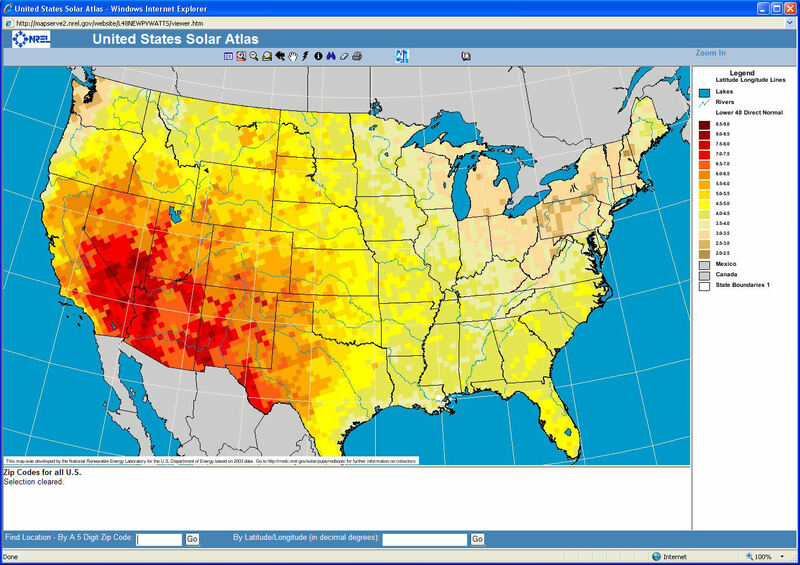 This map viewer from the National Renewable Energy Laboratory (NREL) uses Web GIS to explore this question. Natural gas may power more of the future in the United States as new domestic discoveries are made, but where else is this resource present — or absent? CIA Factbook data and ArcGIS Explorer provide a good way to examine these and other questions. What combination of factors makes one location better than another for a wind farm? ArcGIS Desktop and NREL data provide an excellent way to visualize and analyze sites suitable for a wind farm in Colorado (black), including those with the highest wind speeds (yellow). Coal is an abundant fossil fuel, and all forms of it will burn, but not all coal is the same. Anthracite and some bituminous coal are sought after, as they contain low quantities of elements like sulfur and nitrogen. The National Atlas map viewer aids in discovering where they can be found.